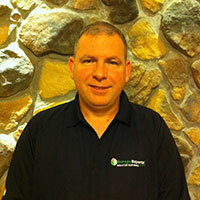 My name is Darin Sipe and I am the owner of Garage Experts of Metropolitan Maryland. As an automotive enthusiast and a person who enjoys working with all kinds of hand-on projects, I have always appreciated a garage as a multi-use space. I am a life-long resident of Maryland and reside in Huntingtown. I am a former educator and have served as a special education teacher, Special Olympics coach and private school director. I left a long career in education to pursue this dream of owning my own business. I have been through extensive training at the Garage Experts headquarters to assure that our garage flooring and storage system installations are truly top-notch. A garage should be an extension of your home. By installing Garage FX floor systems and Garage Experts storage systems, Garage Experts of Metropolitan Maryland can improve the style and functionality of your garage. Garage Experts of Metropolitan Maryland is a locally owned business and I am committed to customer satisfaction. Lifetime guarantees on our products makes sure you know you are getting a quality product, installed with pride. I will provide the customer service and quality assurance to make sure each client has the attention to detail they deserve in a premium Garage Experts service. Our floor coatings are also ideal for your business spaces. Offices, shops, showrooms, reception areas, etc., can have a beautiful, durable finish at a price that is very competitive compared to other flooring options. Garage Experts of Metropolitan Maryland can transform your garage into a great space for creating a man-cave, sheltering guests during a rainy cook-out, holding birthday parties for kids, or just making sure that you have an ideal space to store your possessions. Call today to set up an appointment for a free estimate. GarageExperts of Metropolitan Maryland is your local garage makeover expert. View some of our recent work.